The call for proposals is open until the 15th of September and is targeting start-ups that can provide solutions to Bulgaria’s capital’s air pollution challenge. You can find more information in regards the competition here and in the flyer attached below. We would like to draw your attention to the fact that such an initiative will be conducted for the very first time in Bulgaria and therefore is a great opportunity for start-ups and innovative solutions to gain access to a new market and customers, with Sofia being listed in Forbes as one of the 10 best places from around the world to start a company. 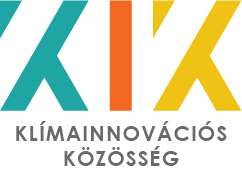 Sofia city Urban Challenge is part of the wide portfolio of activities of Climate-KIC – Europe’s largest public-private innovation partnership focused on climate change and consisting of dynamic companies, the best academic institutions and the public sector. Additionally, the competition will be held within the Framework of SOFAIR – a high level European air-quality conference where the participants will be able to further establish connections and explore opportunities for future growth and development.